Local, handcrafted gifts for the gardener on your shopping list! 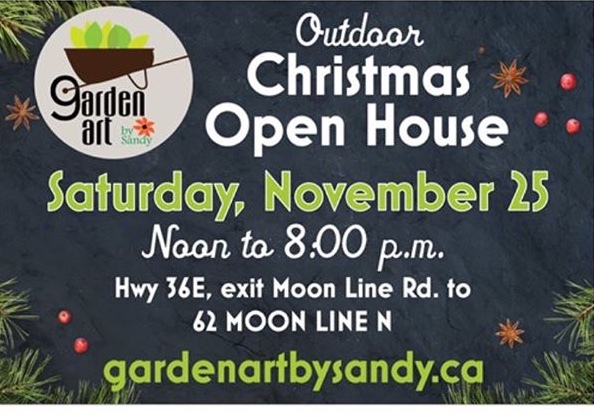 Featuring a nice selection of garden sculptures for the garden lover as well as tree ornaments, Christmas decor and other unique gift choices from local artisans. Come enjoy a relaxed, outdoor Christmas shopping experience in a quaint backyard setting. We have your warmth covered with a bonfire and hot drinks!